Cookie week 2012 continues, and we are on day number 4! 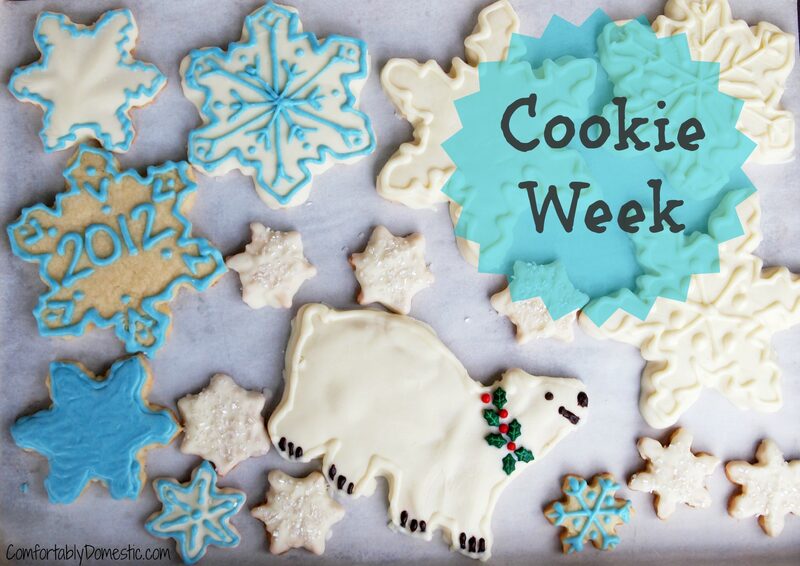 Friends, I really hope that you’re getting some great ideas for different cookies to add to your Holiday Baking List. I’m so impressed with the level of creativity coming from the cookie recipes so far, and we still have three more days to go! The first cookie today just warms my heart. My friend in real life Lauren of Climbing Grier Mountain couldn’t play along with our Cookie Week festivities this week. I was a little bummed because Lauren is a certified laugh-riot, so she is definitely missed. 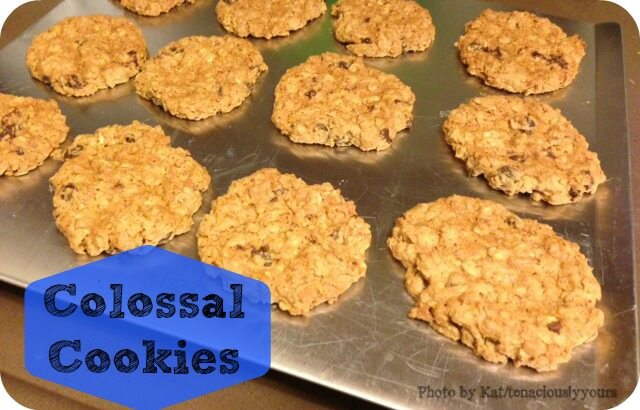 Then I see that Kat/TenaciouslyYours went ahead and baked up one of Lauren’s recipes for Cookie Week–Colossal Cookies. Hooray! Lauren’s included after all! What makes these cookies colossal? Let me tell ya, it’s not size alone! 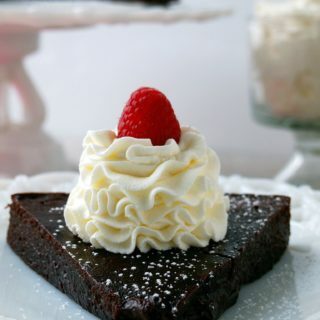 These puppies are made with an entire jar of peanut butter and absolutely no flour! Intrigued? 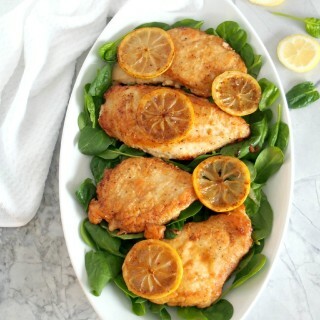 Head over to Kat’s place and see how she tweaked an already fabulous Grier Family Favorite recipe. 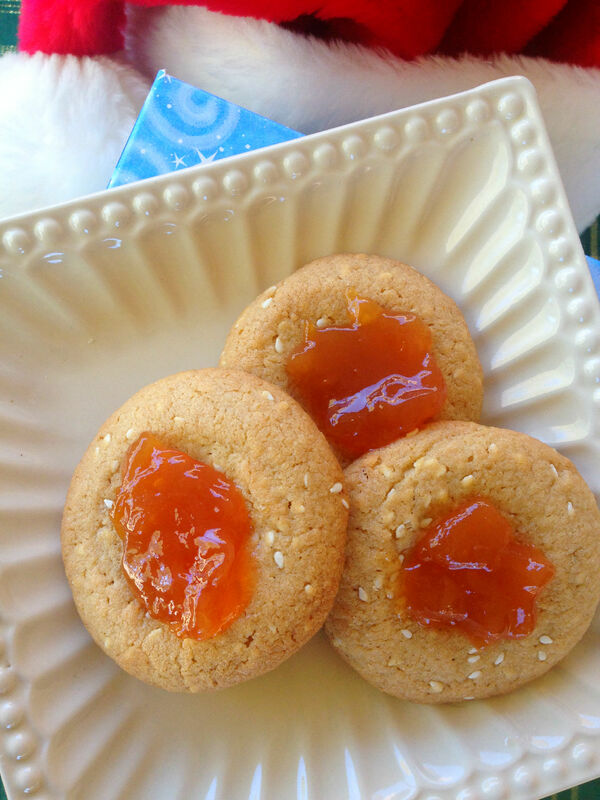 Allison/Decadent Philistines shares a gorgeous thumbprint cookie with sesame seeds and plum jam. Perhaps more important than the Sesame Plum Thumbprints is the fact that this particular cookie is dedicated to a fantastically creative, fun, and talented a young girl named Lily, who lost her fight with cancer earlier this week. Today would have been her birthday. Lily, and children like her, are exactly the reason why my blogger friends and I band together to support Cookies For Kids Cancer each year. We hope that you’ll join us! Send me an email by this Saturday with the total number of cookies that you’ve exchanged this holiday season, I’ll tack your number on to our Cookie Week Exchange total, and then Glad to Give will donate one dollar to Cookies for Kids Cancer for each one of your cookies added to our exchange. You bake cookies and bring joy to others, Glad to Give donates money to Cookies to Kids Cancer, and sick children get very necessary cancer treatments. There are only winners in this scenario. 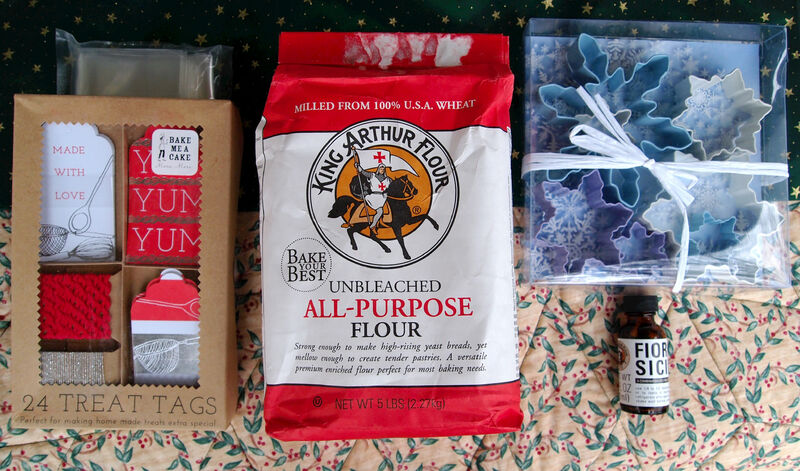 Don’t forget to spread the word and enter to win the Cookie Week Prize Package from King Arthur Flour! Click here for contest details and enter to win! I know! Sounds crazy, right?